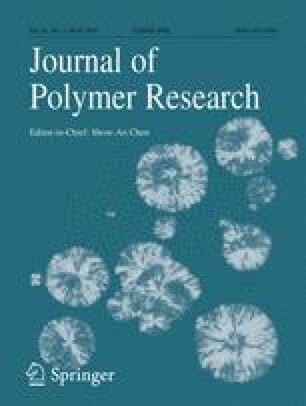 The transport of CO2 through variety of polymer membrane has been reported since last few years. CO2 shows plasticizing effect with glassy polymers facilitating molecular motion and increasing free volume which promotes the permeability. In this work, the transport behaviour of CO2 across the metal coated membrane has been studied and compared with that of standard polycarbonate membrane as a function of pressure. Deposition of nanolayer affects the transport properties due to the modification in sorption-diffusion process. As CO2 is a plasticizing agent and at definite pressure it gives plasticizing effect depending on the properties of material. A Platinum-Palladium (Pt-Pd) alloy thin film of around 8–10 nm was coated on thick polycarbonate (PC) substrate using sputtering technique to make layered polymer nanocomposite membrane. The permeability decreases with feed pressure for PC/Pt-Pd. As operating pressure is increased, the diffusion coefficient increases with small change and the solubility decreases. The tests were carried out at different upstream pressures i.e. in the range of 30 psi to 230 psi (2 atm to 16 atm) for PC/Pt-Pd at 35 °C temperature. Further, the selectivity of CO2 over H2, O2 and N2 at various upstream pressures has been reported. The author NKA is thankful to the Department of Science and Technology, New Delhi, for supporting Fast Track Young Scientist scheme during the work (FTP/PS-32/2006 and BY/P-01/10-11) and Dr.Freeman’s research group at University of Texas at Austin, USA for providing experimental facilities. The author AKP is thankful to University Grants Commission, New Delhi for providing fellowship (GCU-4/UGCBSR Fel/App.Phy./13-14/#1263/943) under BSR RFSMS scheme during the course of work.